Just ten days after the winter solstice — which few people even notice let alone celebrate — everyone around the world celebrates this totally arbitrary change from one year to the next. On the solstice, we have a brief celebration at the neighbors, watching the sun set and making a toast. Beyond that, to make things even more clear, they created a series of holes in the stone railing of their west facing balcony, where on the solstices and equinoxes they set metal stakes that register the shadows cast by the setting sun. One stake aligns with each of the three others in turn, the furthest left on the winter solstice, the furthest right on the summer solstice, and the middle one on both the equinoxes. And on each of those occasions, without variance, the shadows of the stakes align. It is so comforting, especially in these very topsy-turvy feeling times, to see that solid recurring natural phenomenon. The earth is still circling around the sun just as it has been doing for a really long time, and likely will continue to do, no matter what we humans get ourselves up to. The reality of that is like solid ground to stand on. What is real about New Year? It is based not on some physical reality but on a mutual agreement. Since there are multiple ways that we measure the years passing on multiple dates (Jewish New Year, Chinese New Year, etc.) it’s not even really a total agreement. But for the convenience of global commerce, January 1, 2018 is the official new year. I have no problem with this! In fact, I relish a global community and appreciate all that makes it possible. But it seems important to remember that a mutual agreement is not a physical reality. The calendar we rely on has been changed several times in history, and theoretically could change again. So the calendar isn’t based on physical reality. The marking of time in minutes, hours, days, weeks, months and years is arbitrary, very loosely based on nature, but straying when nature isn’t sufficiently ‘orderly’. It wasn’t all that long ago that a universal clock was invented for trains to run on time. Before that each community set its own time. And not long before that, mostly agrarian societies were attuned to the sun, the moon and the cows in need of milking. In tribal life and in small towns they lived in such close community, there was no need to say ‘I’ll meet you there at 4 o’clock’. They just looked around to see who was about, or they met up at sunset, the way we do with our neighbors on the solstices and equinoxes. Of course, clouds can play havoc with this system, which, combined with growing population and travel made the establishment of measured time necessary. But even though measured time is just a mutual agreement, it feels concrete, doesn’t it? I certainly felt a great sense of satisfaction this morning when I tossed our 2017 calendar in the recycling bin! Because the New Year feels very real, it is often a powerful time to review, release, and press the reset button on life. We are more inclined to want to establish good habits in the new year. So powerful is this belief in the ‘turning over a new leaf’ that I successfully used it to quit smoking 46 years ago. Had I not, what a very different condition I would likely be in now. So great gratitude for the power of the New Year! Whether these New Year’s traditions are powerful for you or not, it’s still wise to distinguish between things that are agreed-upon human creations and things that are physical facts. You don’t have to be a scientist to make this distinction. 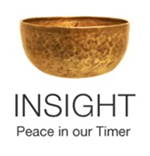 The insight meditation tradition is based on questioning the veracity of what we have always accepted as true. After meditation, we have quieted the pool of our minds enough to see more clearly all our assumptions about life. Our practice of inquiry works with this increased clarity and compassion, as we come alive with questions rather than being numb to the experience of life. But it’s important to know that not all questions are useful. In the coming weeks we will be looking at questions that leave us in a tailspin and questions that cultivate clarity. Please join me in this exploration, either in person in my Thursday morning women’s meditation class in Marin County, or by following this blog (Click on ‘Follow Stephanie’) at the top of this page. Happy New Year! May you be well. May you be at ease. May you be at peace. May you be happy. This entry was posted in meditation, New Years, New Years resolutions, winter solstice on December 30, 2017 by Stephanie Noble.